This has been such a beautiful journey for me and I know that you will enjoy your own magical adventure. The blanket has threads of Lillies dream woven through the stitches and colours of the thread. The pond with the big Lilly Pad, the flowers that she weaves with her magical spells and green leaves of the forest. You can purchase the Lilliana Compendium which includes the alternative start and colourway in my Ravelry Store. Once you have a Ravelry account any pattern you purchase will be stored in your own pattern library that you can access as you need. 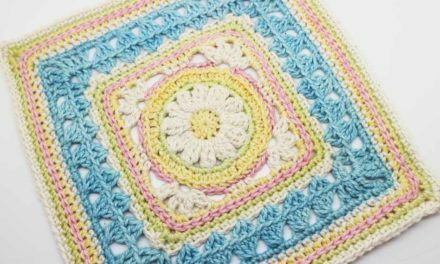 You can purchase the Lilliana Compendium which includes the alternative start and colourway here on my site. Once you have a HOS account any pattern you purchase will be stored in your own pattern library that you can access as you need. Here are the blankets made by the awesome Sunshiners test team. As always a special thanks to them all. These Pure Cotton kits are hand dyed and made to order. Lovingly made in small batches and not mass produced. How do I get my pattern? Once you have paid, you will be redirected to a download page and a receipt will be emailed that also contains your download link for the purchased pattern/s. You will also have created access to your own personal pattern library containing all of your purchased patterns. This applies to both purchases on Ravelry and Hooked on Sunshine. Where do I get help with the pattern? 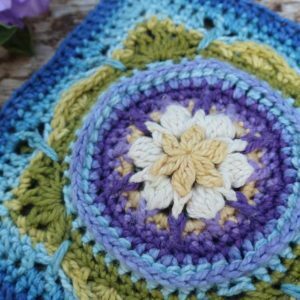 We have an awesome team in our facebook group who offer pattern support. Join our group here and post questions you need assistance with and the HOS assist team will be there to help. Please note we do not have pattern support via email. This pattern or any portion thereof may not be reproduced or disseminated in any manner whatsoever, without the express written permission of the designers and authors. You may sell what you personally make – provided it is hand made by you and not commercial in quantity or production. For questions relating to permission or usage please contact us. This pattern is licensed under our EULA.